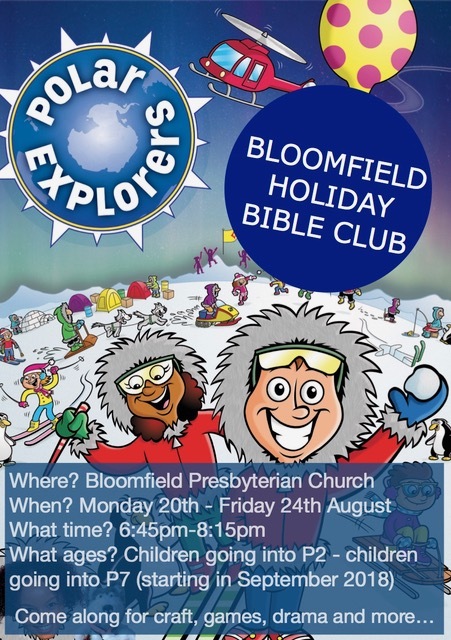 Holiday Bible Club – Polar Explorers! This event repeats every 1 days, starting from 21st August 2018 until 24th August 2018. For children in years P2 – P7 (in September 2018). Come along for craft, games, drama and more! 6.45pm to 8.15pm. Monday 20th – Friday 24th August.